How to plant a Ball and Burlap tree. A large, woody plant whose hug root-ball is wrapped in burlap (balled and bur-lapped or B&B) might seem intimidating to plant, but it’s easier than you may think. Dig a hoe too times wider than the root-ball only as deep as its height. Next, place the plant in the hole and remove all string, twine, wire, and as much of the burlap as possible. Then back fill using the excess soil to form a berm around the outside edge of the planting hole. Make sure that the plant is not buried deeper than how it was originally growing. Irrigate the area inside the beam, and allow the water to settle the soil around the root-ball. Provide a 3- to- 4-inch-deep layer of mulch around the root zone but away from the trunk of the tree. Should I stake a new tree? 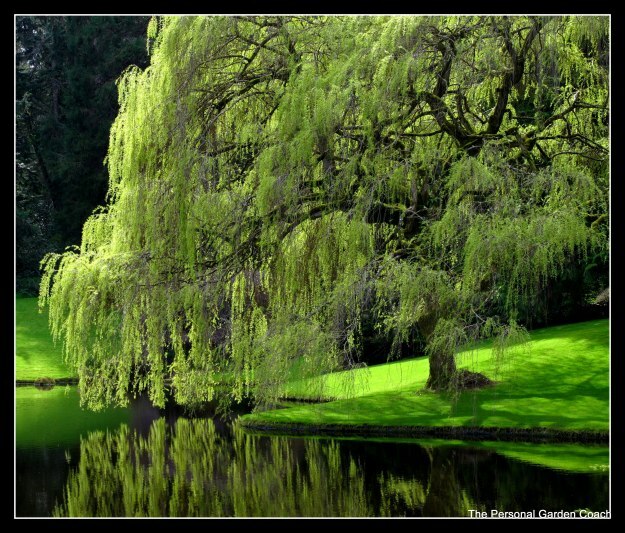 Tree staking, a task that should be done only when absolutely necessary, is usually done wrong. The goal is not to render the trunk immobile. Quite the opposite is true. The trunk needs to move to grow properly. It is the root-ball that needs to remain motionless. One somewhat-flexible stake- attached about two-thirds of the way trunk with some material that won’t wear away the bark- is all you need. And get rid of it after a year. 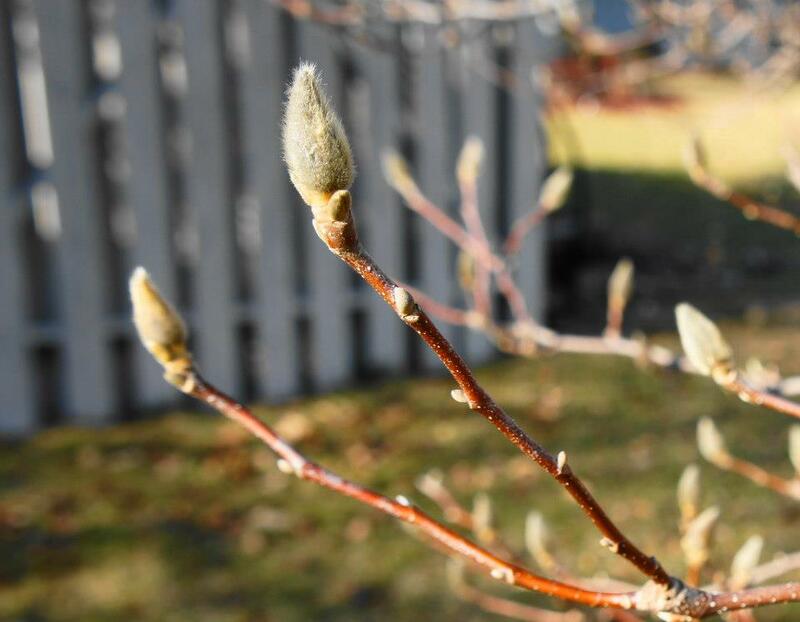 Categories: News Updates, Planting Guidelines | Tags: Arbor day, Blooming Gardens by Cindy, Central Illinois, Earth Day, planting trees | Permalink. 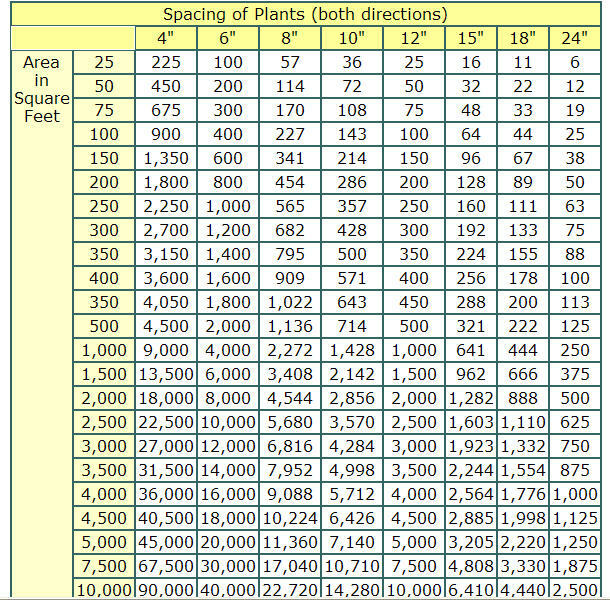 Example: if you select 18″ spacing and need to cover 300 square feet, the box where that column and row intersect tells you that you need 133 plants.If you don’t see your exact coverage area listed, either estimate by selecting the closest area listed or use the second chart below (“Plant Calculator”) to precisely calculate how many plants you need. Use the plant calculator below to determine how many plants to use per square foot of space to be planted – particularly ground covers, annuals and perennials. 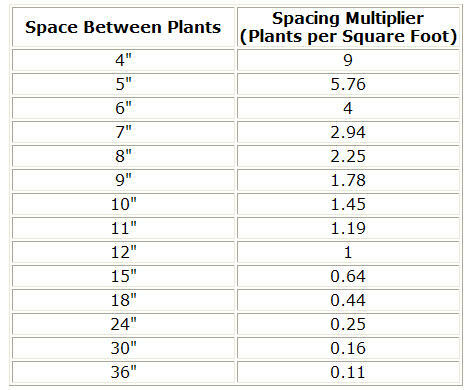 To accurately use chart you must first know how far to properly space the type of plant you are planting. Spacing is usually listed on the plant description. Example: you want to cover an area of 120 square feet with a spacing of 10″. For 10″ spacing the plants per square foot is 1.45. Multiply 1.45 x 120 and you get 174 plants needed. Categories: Design, News Updates, Planting Guidelines, Spring Garden | Tags: Blooming Gardens by Cindy, Bloomington, Central Illinois, landscaping design, landscaping math | Permalink. Forsythia hedge on Rt. 9 taken this morning. These bushes looks so nice planted in mass and left to grow natural. The forsythia likes full sun or light shade. Pruning is the key in keeping it looking nice. Pruning should be down after blooming. Check out this site to learn how to prune the forsythia. 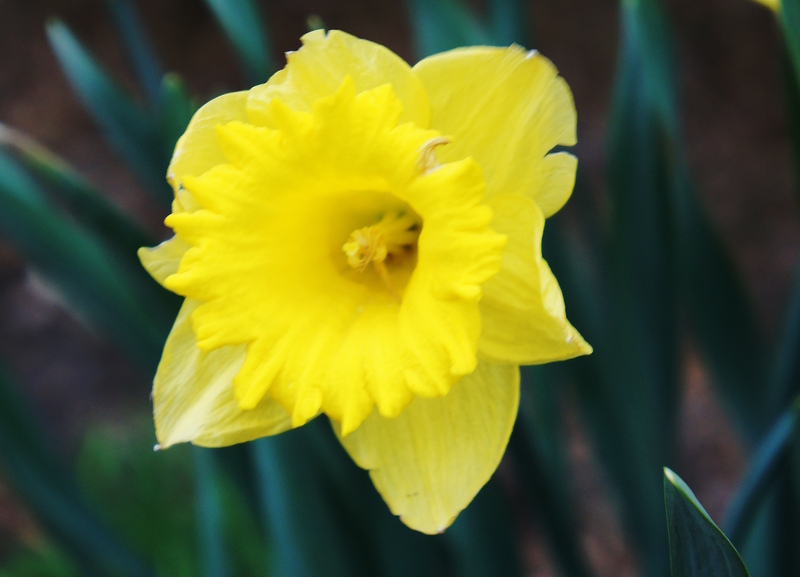 Daffodils are one of my favorite old fashioned bulb. Every home I have lived in I plant lots of these bulbs because they are long-lived and cheer me up in early spring. I took the photo on the left on Feb 17, 2013 and today this is what it looks like. 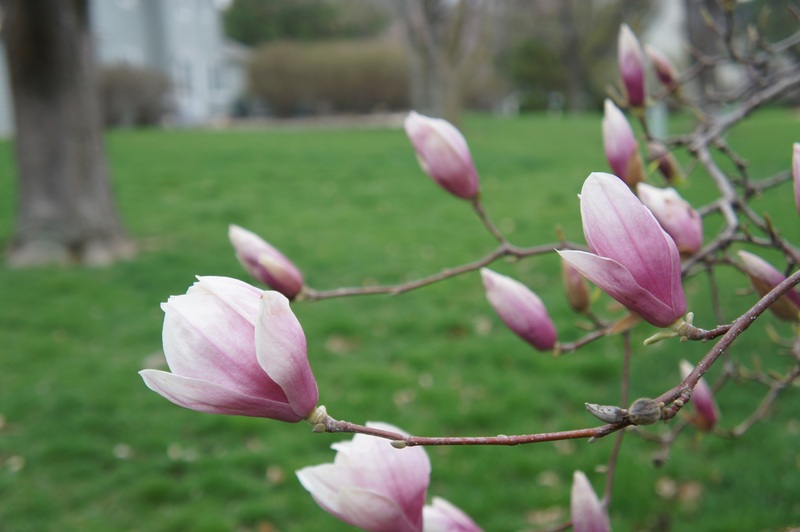 Unfortunately , the Magnolia tree usually fall victim to late spring frost. So enjoy the blooms now before the cold spell this weekend. Categories: News Updates, Spring Garden | Tags: Blooming Gardens by Cindy Bloomington, Daffodils, Forsythia hedge, Il, Magnolia, Spring flowers, What's in Bloom | Permalink. Categories: News Updates | Tags: brother, kid | Permalink. THROW AWAY YOUR HEDGE-CLIPPERS ! Prune flowering shrubs after they bloom. When in doubt, call Blooming Gardens. We will correctly prune your shrubs for you. 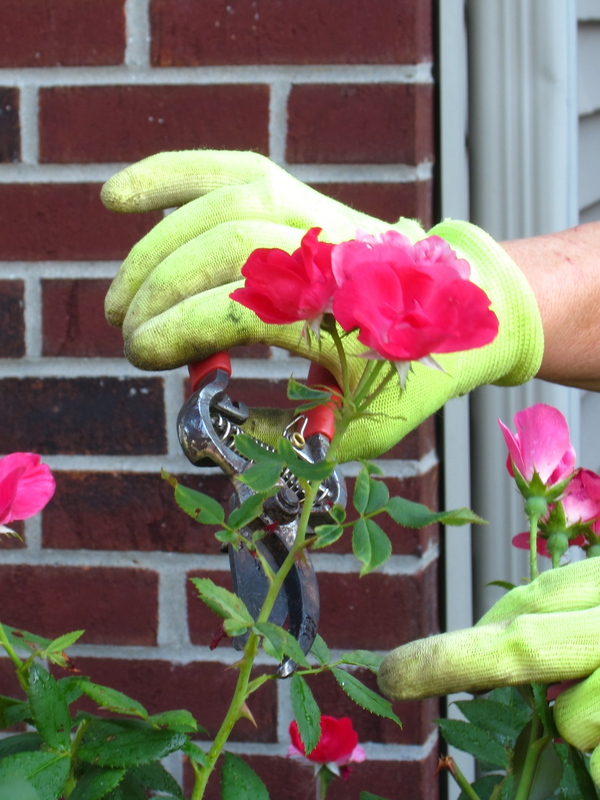 Categories: Maintenance, News Updates, Spring Garden | Tags: Blooming Gardens by Cindy, Bloomington, Cindy Eack, Maintenance, pruning tips, Spring | Permalink. Now is a good time to start light spring garden clean-up. One of the quickest and easiest chores is cutting back the winter grasses. 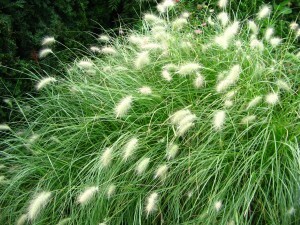 Unfortunately, the more full and beautiful an ornamental grass is, the messier it is when cut down. To lessen the mess of long grass blades spilling throughout your garden, use this quick and easy technique for cutting back ornamental grasses. Wrap paper or vinyl tape around the circumference of the grass. Any wide tape will do, as long as it’s sticky enough to keep a hold on the grass blades. A strong masking tape is preferable if you plan to compost the grass. Depending on the width and height of the ornamental grass, you may need to wrap tape in 2-3 positions along the height of the grass and possibly divide the grass blades into 2-3 bundles. 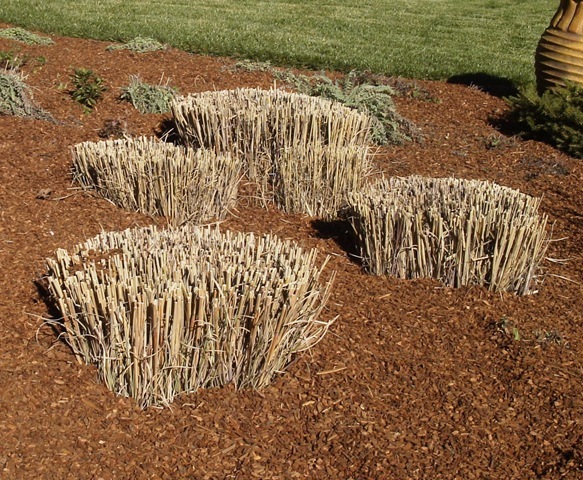 Now that your ornamental grasses are neatly bundled, it’s much easier to take your pruning shears and prune the grass back at ground level. Because the tape is holding the grass blades in place, you can lean the ornamental grass bundle away from the base as you cut, to make cutting easier. If the base of the grass is very compacted or you notice that grass is not growing in the middle of the clump, now is a good time to burn the grass. With a rake pull back all dried materials, using a lighter, light the dry clump of grass. Make sure the fire or sparks don’t jump. Grass needs fire to live—so do this every 3-4 years for healthy grass. 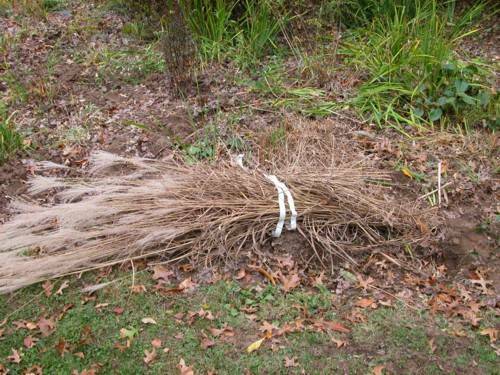 Picking up the ornamental grass bundles to take to the compost pile is an easy enough task, but removing the tape can be a major hassle. That’s why I would recommend using a good quality paper masking tape, rather than a vinyl tape. The masking tape may tear more easily, so you will need more of it to hold the ornamental grass bundle together, but you can then toss the whole bundle into the compost and not worry about the tape remaining there forever. Of course, you can always sieve out the vinyl tape, so don’t waste your patience trying to remove it before composting. Categories: Maintenance, News Updates, Spring Garden | Tags: bundled cut grasses | Permalink. Rose plants are considered high maintenance plants because they need regular dead-heading to stay looking good throughout the season. Every landscape garden needs maintenance to keep plants looking healthy and the landscaping looking its best. When designing or planning landscapes consider your time and ability to maintain the garden, make sure your plans and your plant selection match your maintenance type. No maintenance gardening – You hire professionals, want it to look great, but prefer not to do it yourself; . Hiring a landscape consultant can help you match your garden preferences with plant selection. Contact Blooming Garden Designs by Cindy for a free consultation. Categories: About Cindy, DIY, Maintenance, News Updates | Tags: Blooming Gardens, Blooming Gardens by Cindy, Central Illinois, Cindy Eack, Garden maintenance | Permalink.